Generating energy by cleaning the air we breath sounds like wishful thinking, but Belgian scientists are working hard on making it a reality. According to University of Leuven’s website, researchers successfully managed to convert pollution into energy, in association with the University of Antwerp. The process the scientists have developed is remarkably simple and addresses two major needs that are facing society today: clean air and alternative energy production. The Belgian research team has created a small device made out of two compartments that are separated by a membrane made from specialized nanomaterials. 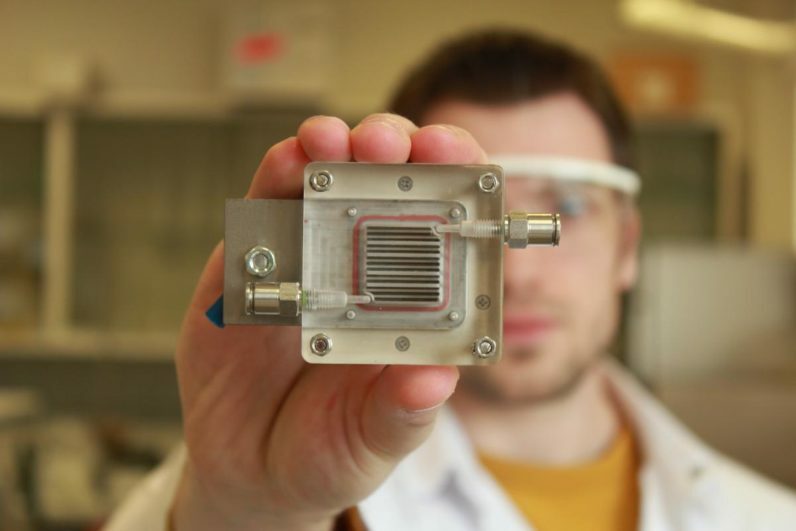 When polluted air passes through the membrane the catalysts in it are able to form hydrogen gas, while simultaneously breaking down the air pollution — effectively producing energy and cleaning the air. The researchers describe the process of the device as being similar to existing solar panel tech, as it operates automatically when exposed to sunlight. The main difference, however, is that the energy isn’t created directly in the new device. The hydrogen gas that’s produced can be stored and later used as fuel, for example for hydrogen-powered buses which are already in use in many countries. The tech is still in early stages of development but Professor Sammy Verbruggen, one of the leading researchers, has high hopes for the future. At this moment we are working on a scale of only a few square centimeters. In the long term, we’d like to scale up our technology to make the process industrially applicable. We’re also working on improving our materials so we can use sunlight more efficiently to trigger the responses. For those who’re interested in the science behind the device can check out the research paper here. Read next: Will 3D-printing democratize interior design?